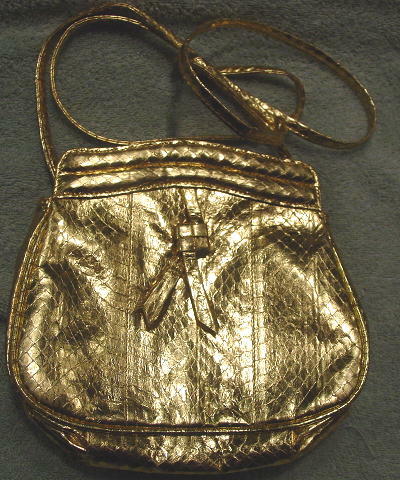 This vintage gold lame color snakeskin purse was made in Hong Kong and originally sold at Bullock's Dept. Store. 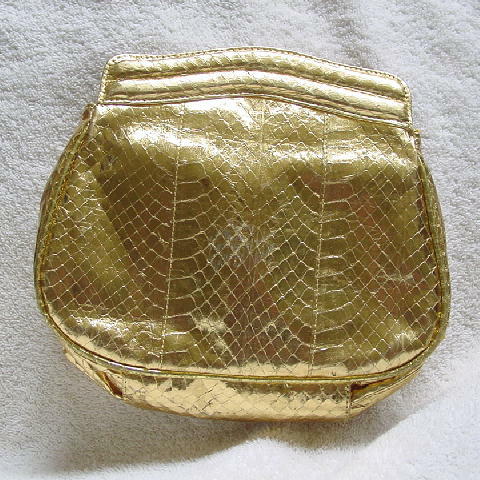 It has a deep yellow lining and a zippered pocket with a nice bone fabric lining. 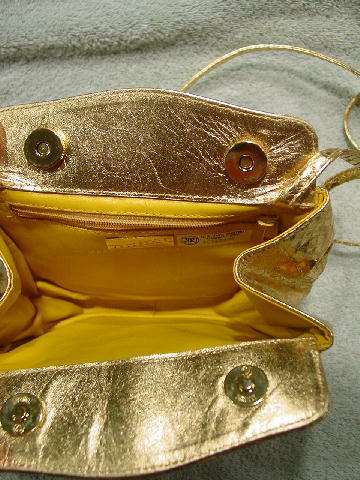 The interior top has a gold lame leather panel on each side with 2 magnetic closures. It has a 51" long by 5/16" wide shoulder strap. 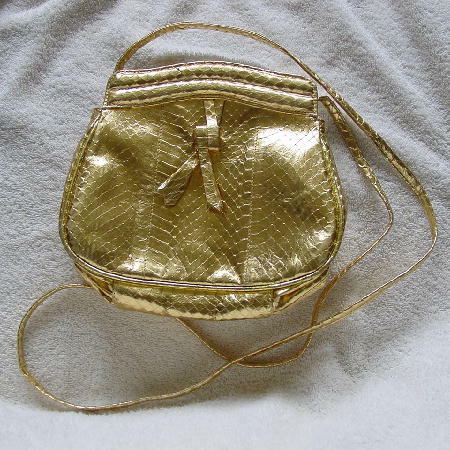 The front has a woven strap ornament. The lame is missing in several areas on the back and the lame is a little dull on the front lower corners. She wore it to several movie premieres.